McKesson is one of the oldest and largest healthcare companies in the world. Covering 16 countries, we have one common purpose; to make better health possible. We started small, but today, our reach is vast across both the US and Europe. We unite 78,000 colleagues globally. We are all working together to provide health and well-being solutions, that make a difference to customers and patients’ lives every day. We’re delivering the right care, to the people who need it, wherever they are. A healthier world where more people can live life to the fullest. To effectively, efficiently and passionately deliver innovative healthcare services that equip and inspire more positive lives. We are proud to have a portfolio of healthcare brands that are well-known and well-respected in the industry. They enable us to cover the whole spectrum of services across the home, wholesale and high-street sectors. LloydsPharmacy is a leading community pharmacy and healthcare provider with around 1,700 pharmacies across England, Wales, Scotland and Northern Ireland. Most of our pharmacies are in community and health centre locations, but we also work in partnership with mental health trusts, NHS and private hospitals, prisons, care homes and more. AAH is the largest pharmaceutical wholesaler in the UK, delivering over 15 million items a week to more than 14,000 pharmacies and other organisations. Our services, which we provide for medicines manufacturers to individual patients, cover almost every aspect of the industry. We run our operations through 17 distribution centres and employ around 4,500 people nationwide. LloydsPharmacy Clinical Homecare, which used to be called Bupa Home Healthcare, is one of the most experienced providers of clinical homecare in the UK. We provide care to more than 70,000 patients in the comfort of their home, at work or in the community. Our services range from straightforward delivery of medication to specialist nursing for complex conditions. LloydsPharmacy Online Doctor is a true healthcare pioneer, being the first ever online healthcare organisation to register with the Care Quality Commission. A doctor-led initiative, we provide safe and reliable online healthcare to anyone in the UK. It’s an ideal solution for patients who need to tailor care around their schedules and is helping to increase healthcare access for harder-to-reach patient groups. The history of wellbeing emporium and pharmacy, John Bell & Croyden, goes back over 200 years. Currently part of McKesson, though still run on an independent basis, it has earned a global reputation for delivering excellence and innovation alongside first-class products and service. It is also the proud holder of a royal warrant. Established over 30 years ago, MASTA (Medical Advisory Service for Travellers Abroad) is now one of the largest network of private travel clinics in the UK. We specialise in travel health consultations, vaccinations (including yellow fever), antimalarials and travel-related retail items. Join McKesson and you can be part of reinventing healthcare. With limitless opportunities to grow and develop, plus an open culture where you can make a tangible impact, you’ll be able to use your passion, ambition and drive to build solutions and have experiences that transform lives for the better – starting with your own. 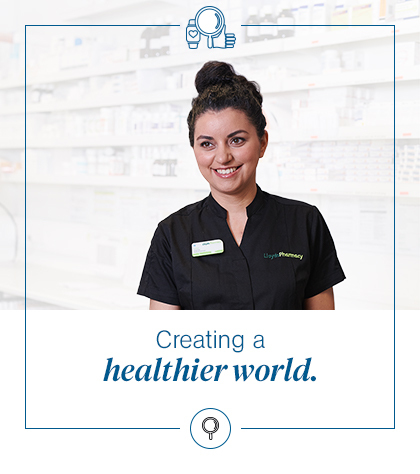 There are hundreds of career routes available at McKesson within the UK and beyond. Our Best Welcome induction programme gives you the ideal start. From there, we’ll help you on your journey by offering great training, incentives and rewards. Plus we provide ongoing support to help you master your role and continue your development. Your manager will provide ongoing support to help you manage your personal goals and professional objectives, particularly through your annual contribution dialogue (ACD). The ACD ensures that you are recognised and rewarded for every contribution you make, while playing a crucial role in inspiring more positive lives and improving the health of our patients and customers. While we provide all the support and learning you need, we’ll also encourage you to take ownership of your development at McKesson. You choose whether to drive your career in a number of different directions or focus on a role you really love. We’ll nurture your abilities at every stage and help you become an expert in your chosen field.